100 community water heroes who are representative of the broader global community. Together with the rest of the #RunningDry community, and with special thanks to Colgate and Reebok, we have been able to spread the #RunningDry message all over the world. 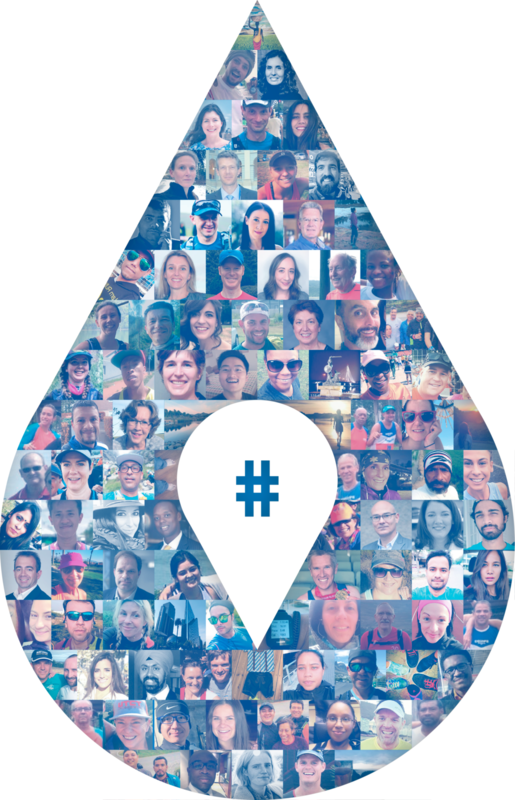 And that is why the #RunningDry community is one of our #100WaterHeroes. In 2017, they won obtained a US International Boundary Water Commission contract to restore the habitats for the Southwest Willow Flycatcher and the Yellow-billed Cuckoo, both of which are endangered. By planting the specific trees and shrubs these species require in order to flourish, they hope to restore their natural habitats and encourage overall population growth. With this growth of this project, High Desert planted approximately 7000 indigenous trees in 2016, and plan on growing this number to over 15 000. Mike is one of our #100WaterHeroes for leading High Desert Native Plants as they carry out projects and help clients to develop innovative solutions to pressing environmental issues. Dr. Sharon Megdal is the Director of the Water Resources Research Center (WRRC) at the University of Arizona, a research unit within in the College of Agriculture and Life Sciences. Sharon’s research centres on regional and international water policy and water resource management issues and solutions. In addition to her role as Director of WRRC, Sharon holds a number of prestigious positions at the university, including Director of the Water Sustainability Programme and the Co-Director of The University of Arizona Water, Environmental and Energy Solutions Program. During the final USA leg of #RunningDry, Mina was able to meet Sharon and learn about her work with WRRC. Sharon said that she works as a bridge between researchers and the real world. Much of her work has focused on the Colorado River, and one of the predominant issues she highlighted was the fact that it has been largely over-allocated. The general health of the Colorado River is of great importance to Arizona, as it accounts for approximately 40% of the water used in the state, and most of the drinking water used daily in the Tucson metro area. Sharon noted the absolute necessity of cutting back on the delivery of water from the Colorado River, particularly because of issues surrounding over-allocation and the ongoing drought. Sharon also spoke to Mina about the Sweetwater Wetlands project, which is part of the City of Tucson’s reclaimed water system that provides non-potable water to use primarily for turf irrigation. The area is a popular urban wildlife habitat and riparian zone, and is one of many ways that the city and state is looking to offer alternative sources of water rather than relying on the dwindling Colorado River. 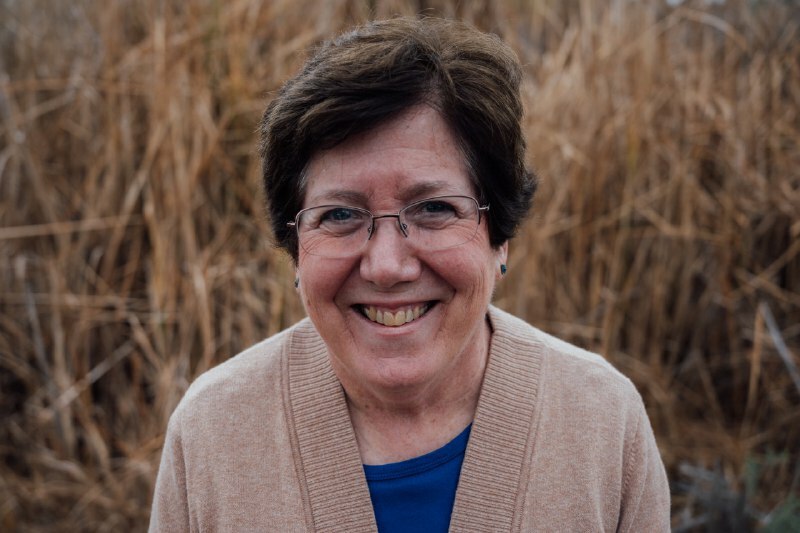 Sharon is one of our #100WaterHeroes for the impactful work she has done in the fields of water policy and management, and for successfully leading the Water Resources Research Center. Mike Mallozzi is a PhD microbiologist and the President of Borderlands Brewing, a company that produces beer in the most sustainable manner possible. One of the many ways in which they seek to further the sustainability of their business is through the use of solar power purchased through the Tucson Electric Power programme. While they cannot yet afford to have their own solar panels, making use of locally generated sustainable power is definitely a step in the right direction. Mike is a council member of the Conserve2Enhance water conservation group, an organisation that is committed to helping people and businesses to reduce their water footprints, and to improving the health and flow of local water bodies. Borderlands is also a participant in this group, and they undergo thorough water audits that help them to identify areas in which they can further reduce their water usage. "Generally speaking, as people in business, we need to be more focused on finding the sweet spot where we can look after the planet, people, and profit. Too often we chose to leave out the planet in this equation. If we continue to do business like this soon we won’t have the planet to even include this equation. And to customers, I say vote with your dollars. Support those businesses that look to make a profit without exhausting our resources unsustainably." Mike is one of our #100WaterHeroes for his dedication to sustainable development, and for leading Borderlands Brewery as they seek to produce the most sustainable beer possible. In addition to leading this sustainability-focused university, Arturo has had a successful career in Business and Leadership. He has a PhD in Business Administration from Harvard University, as well an an MBA from INCAE. Arturo also served as President of INCAE Business School for 9 years, and has committed over 24 years of his career to teaching and researching the fields of strategy, competitiveness, and sustainable development. Arturo was also the prior Dean of Innovation and Development and Director of the Latin American Center for Competitiveness and Sustainable Development (CLACDS). He has had great success in promoting sustainable development in rural communities of Costa Rica, Argentina, Honduras and Ecuador, collaborating with both private and public sectors to further this cause. Testament to his positive impact, Arturo was named one of the World Economic Forum’s Young Global Leaders. As part of this role, Arturo co-founded the YGL Business Oath and continued on to become a founding member of the Advisory Board of the Global Business Oath Project. Both of these projects seek to positively transform the ethical behaviour of business leaders throughout the world. Arturo is one of our #100WaterHeroes for his impactful leadership of Earth University, and for his contributions to sustainable development throughout the world. Christian Golcher is an EARTH University graduate, from the class of 2008. He works at the Central American and Caribbean Water Resources Center based at the National University in Costa Rica. His two areas of expertise in research at this centre are (1) the results of pressing human activities over the ecological conditions of rivers and (2) the study of water footprints on rice, banana, pineapple and coffee crops; both with methodologies developed by the Water Footprint Network Foundation. He has worked in several research projects in Costa Rica, with his base centre in Guanacaste, the driest region in the country. Some of his projects include working with communities to develop their capacities and create procedures to control and restore bodies of water. Christian’s main interest lies on the country’s rivers, specifically in the Chorotega region. These include the Liberia River and soon the Cañas, Bagaces and Abangares rivers. He also works in identifying the technical needs required for the proper monitoring of bodies of water and water treatment systems. Christian is one of our #100WaterHeroes for his important water-focused research, and for drawing attention to various issues that affect our world’s water systems. Eileen Fisher is the founder of EILEEN FISHER INC, a highly successful clothing brand that puts human rights and sustainability at the forefront of their work. Currently, 70% of the cotton used in their production is organically sourced and, as a way to cut down on fabric and fiber waste, the company has developed a recycling programme. Customers can take their ‘gently used’ clothing back to the store and are gifted a $5 coupon for each returned item. The garments are dry cleaned and resold, with all revenue put towards funding leadership programmes and business grants for women. This system has collected and sorted over 1 million pieces of clothing. As part of their move towards complete sustainability, the company has launched Vision2020, an overview of their goal to reach 100% sustainability by 2020. This includes a pledge to use only the most sustainable, organic fibers, as well as wool that comes from ethically raised sheep. They are also funding alternative energy sources, and reducing their reliance on air shipping. By 2020, they aim to be not only climate neutral, but climate positive. I feel there's a role for EILEEN FISHER to play in this shift by sharing the collaboration skills we practice and helping to create the kind of change that wouldn't be possible if each of us acted alone. When I give talks, I often say that business can, indeed, change the world. EILEEN FISHER has done a lot by committing to organic and sustainable fibers, manufacturing clothing in the USA and recycling our clothes with EILEEN FISHER Renew. There's much more to do. And I believe we can do it. I believe we can make a difference. Business can be a movement. Eileen is one of our #100WaterHeroes for leading a clothing company that has put human rights and sustainability at the forefront of their work, showing us that businesses can make a difference. Gary Woodard is a Senior Water Policy and Economics Consultant at Montgomery & Associates, a company that focuses largely on hydrology, geology, soil science, water resource planning and groundwater modelling. A large part of Gary’s work involves leading a 3-year-long study that seeks to unpack how effective the city of Tucson’s rainwater harvesting subsidies have been. Having completed the first year of this study, Gary has noted that “the first year of data gathering confirms that residential rainwater harvesting has reduced the city’s overall potable water demand” (Weiser, 2018). Gary has been a great asset to the water sector, and has dealt with water issues as both an academic and a consultant for over 30 years. Prior to his work with Montgomery & Associates, Gary was the Deputy Director of the University of Arizona’s Water Resources Research Center. Additionally, he founded a water conservation alliance and was president of Universities Council on Water Resources (UCOWR). Gary has also worked closely with UNESCO water centres throughout the world, namely in the Middle East and North Africa. Gary is one of our #100WaterHeroes for his significant contributions to addressing issues within the water sector, both as an academic and a consultant. Eric Meliton is Project Manager of the water stewardship team at Partners in Project Green, a Toronto and Region Conservation Authority (TRCA) initiative. The Partners in Project Green programme “delivers initiatives that helps businesses reduce resource use and costs, uncover new business opportunities, and address everyday operational challenges in a green and cost effective manner.” Under Eric’s leadership, Partners in Project Green assist businesses and local governments in forging collaborative industry partnerships that facilitate the implementation of sustainable water initiatives. Eric is also a Lecturer of Advanced Sustainability Management at the University of Mississauga, where he takes charge of teaching the water module. This module provides students with an overview of the water and wastewater industries in North America. 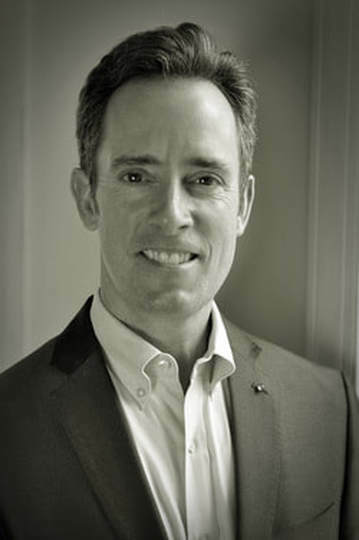 Prior to his water and environment-focused career, Eric obtained a Bachelor of Science in Chemistry and Environmental Science from Western University. Eric is one of our #100WaterHeroes for encouraging and facilitating Corporate Social Responsibility and sustainable initiatives in businesses and local governments throughout Canada. 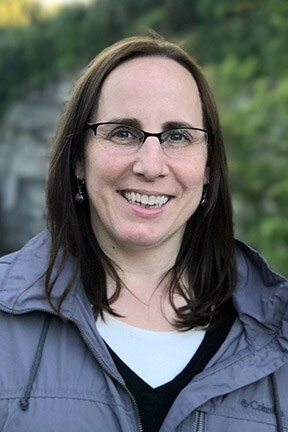 Elizabeth Boyer is an Associate Professor of Water Resources at Penn State University. She has also been named the Director of the Pennsylvania Water Resources Research Center, as well as Assistant Director of the Penn State's Institutes of Energy and the Environment. Many parts of the world already lack clean water, many landscapes are being degraded, and many surface and ground waters are being polluted. Water scarcity will be an even greater problem in the coming years as demand for water increases with population and economic growth. Concepts and tools from ecohydrology can help achieve sustainable management of water, and to help solve global water problems. Elizabeth is a member of numerous advisory committees, including the US Environmental Protection Agency where she focuses on air pollution and water resources. She also serves on the National Academies Advisory Committee, evaluating the New York City Watershed Protection Program. Elizabeth’s vast career in the water sector continues on to include being the Editor of the international journal of Hydrological Processes, on the Board of Directors of the Consortium of Universities for the Advancement of Hydrological Sciences and a leader of one of the National Institutes for Water Resources’ centres. Elizabeth is one of our #100WaterHeroes for helping us to make sense of the hydrological and ecological processes that impact upon water quality and water scarcity. Michael Campana is a Professor of Hydrogeology and Water Resources Management at Oregon State University. He is a respected scholar with extensive experience in the academic sphere, including 16 years spent as a Professor of Water Resources and Earth & Planetary Sciences at the University of New Mexico. He remains an Emeritus Professor of Hydrogeology at the University of New Mexico. His vast career in the water sector includes having been the President of the American Water Resources Association. He also served as President and Chair of the National Ground Water Association. He currently serves on the Steering Committee of the Global Water Partnership. One of Michael’s most significant contributions to the water sector has been his leadership of the Ann Campana Judge Foundation, which he founded and is currently the President of. This NPO focuses on overseeing and funding projects linked to water, health and sanitation in developing countries. Michael is one of our #100WaterHeroes for his expertise in the fields of Hydrogeology and Water Resource Management, and for his impactful WASH initiatives. Sanjay Wijesekera is the Chief of Water, Sanitation and Hygiene and Associate Director of Programmes at UNICEF, where he provides strategic leadership and oversight of UNICEF’s WASH programmes. Prior to joining UNICEF in 2011, Sanjay worked for the United Kingdom’s Department for International Development (DFID) where he was in charge of leading their policy and international programmes related to the water and sanitation Millennium Development Goals. His work with DFID also included being an infrastructure advisor in Ghana, where he assisted in the coordination of a Joint Assistance Strategy for donors. He was also the main donor representative for the water industry during this time. Sanjay’s experience in the water sector also includes his work with the Department of Water Affairs and Forestry in South Africa, during which he helped local governments to adequately deliver water and sanitation services, as well as assisting in the regulation of public and private sector service providers. Sanjay is one of our #100WaterHeroes for devoting his career to highlighting, and finding solutions to, the global water, sanitation and hygiene crisis. Kiana Alavi is a blogger, photographer, campaigner, humanitarian and activist. She currently works as the Engagement Officer for Wateraid’s End Water Poverty (EWP) initiative. Launched in 2007, EWP is a “global civil society coalition, campaigning to end the water and sanitation crisis.” The movement now reaches over 150 members in more than 90 countries throughout the world. In collaboration with members from a range of backgrounds, from large NGOs to community organisations, they work towards achieving universal access to WASH.
Kiana is one of our #100WaterHeroes for her impactful human rights work and for her commitment to ensuring access sustainable water, sanitation and hygiene for ALL. John Oldfield serves as Principal of Global Water 2020, “a two-year advocacy and facilitation initiative designed to accelerate progress toward water access and security for all people in developing countries.” The Global Water 2020 initiative focuses on transforming local and international responses to a core number of global water issues that have been historically under-funded and under-represented. John was also the CEO of WASH Advocates, an organisation that focused its efforts on raising awareness surrounding international WASH issues, and implementing solutions where possible. 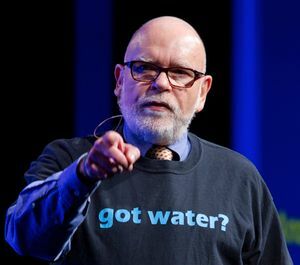 John’s impressive career in the water sector also includes his past leadership of Water Advocates, a United States-based group committed to furthering global access to clean, affordable water and sanitation services. John is one of our #100WaterHeroes for his vast experience in the water sector and for his commitment to ensuring global access to safe, affordable water. 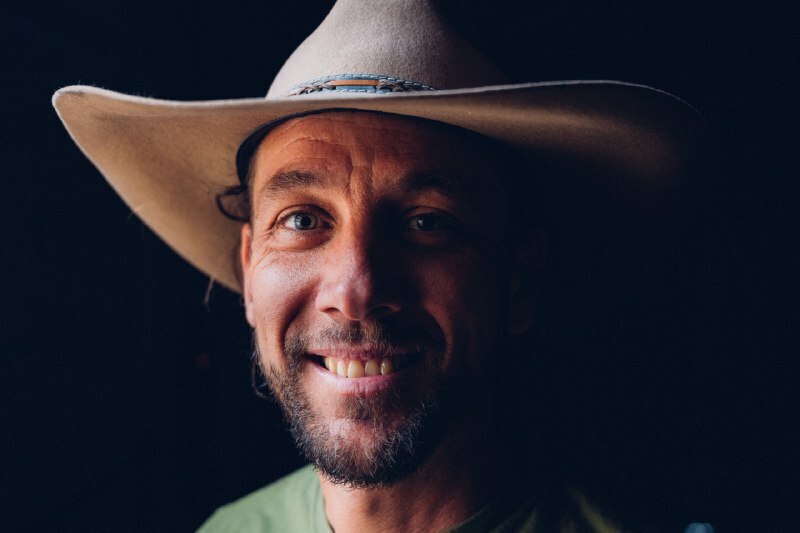 Christopher Swain is a Human Rights Activist and Open Water Swimmer who has been advocating for clean waterways since 1996. 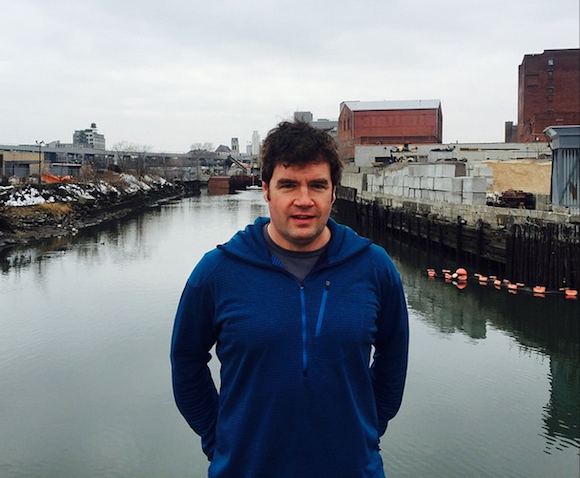 Through his swimming expeditions, Christopher became the first ever person to swim the lengths of the Hudson, Columbia, Mohawk, Charles and Mystic Rivers, as well as significant portions of the USA’s Atlantic coastline and Lake Champlain. Christopher swims to draw the world’s attention to threatened waterways and encourage related conservation and restoration efforts. Christopher takes photographs, videos and journals throughout his swims, and interviews a variety of stakeholders in the sector. His swims have taken place in a myriad of concerning contexts, and he has come into contact with sewage, nuclear waste and pesticides. All of this to spotlight the global water crisis. Christopher was the youngest conservationist featured in Rachel White Scheuring’s 2005 book Shapers of the Great Debate on Conservation: A Biographical Dictionary. In 2007, he was awarded the Harry E. Schlenz Public Education Medal from the Water Environment Federation. Christopher is one of our #100WaterHeroes for dedicating his life to swimming and advocating for our threatened waterways. Bridgetti Lim Banda is a Social Entrepreneur, Live Video Producer, Live TV Host and Channel Manager. Bridgetti has also founded The Cape Town Water Crisis page and online community on Facebook, where members are able to engage in constructive dialogues surrounding the area’s severe water issues. In April 2017, Bridgetti launched The Water Show, in which she interviews water experts and thought leaders in the sector. During these broadcasts, Bridgetti speaks to her guests about how to make water-constrained South Africa more water resilient, and how these lessons can help find a global solution to the water crisis. Throughout this work, Bridgetti seeks to “connect with water professionals and citizens from around the globe to create local and global awareness, education, and a shared body of knowledge and to learn from experiences shared.” Mina was recently a guest on The Water Show, during which she chatted to Bridgetti about the global water crisis and what she learnt during her time in South Africa. Bridgetti is one of our #100WaterHeroes for her commitment to building water conscious communities and for connecting professionals and thought leaders in the water sector. 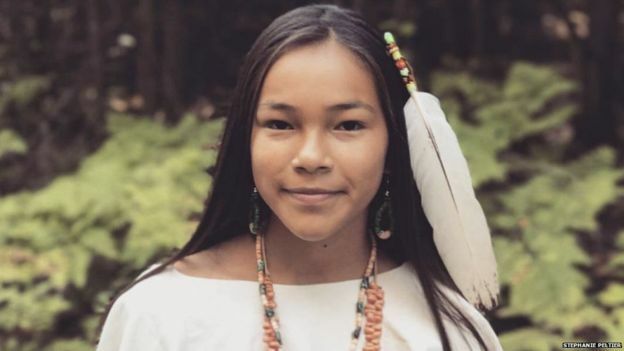 Autumn Peltier is a 13-year-old Eagle Clan Anishnaabekwe from Wikwemikong Unceded Territory in Northern Ontario. Autumn has been fiercely advocating for water conservation since she was just 8-years-old and has become a renowned environmental activist throughout the world. Her beginning in water advocacy was inspired by her aunt, Josephine Mandamin, who raised awareness surrounding water conservation and indigenous water rights by walking the shores of the five Great Lakes. Autumn began her water journey by speaking at community events about the absolute necessity of conserving Canada’s water. In 2015, Autumn attended the Children's Climate Conference in Sweden, and in 2017 became the only Canadian nominated for the Children's International Peace Prize. One of Autumn’s most publicised encounters occurred in 2016, where she met Prime Minister Justin Trudeau at the Assembly of First Nations' annual winter meeting, and told him about her grave concerns surrounding Canada’s water situation. Autumn is one of our #100WaterHeroes for her fierce water advocacy efforts and her focus on ensuring safe drinking water for Indigenous communities in Canada. Today’s #100WaterHeroes are couple Patrick and Elizabeth Shores, Co-Founders of non-profit organisation Untapped Shores International. They decided to launch this initiative after becoming aware of the global water crisis and its heavy impact on women and children in the developing world. Using innovative technological solutions, Untapped Shores brings inexpensive, clean water to people in developing countries. “We don't just give them the solution and walk away, we teach them how to use this to create a water business, so that we're maximising our donors' dollars because we can honestly say that when we start a project, we solve that water crisis forever. We teach them how to make money to keep that project going." Patrick and Elizabeth are today’s #100WaterHeroes for their commitment to positively disrupting the global water crisis through the empowerment of women and children in the developing world. Rich is the Director of The Nature Conservancy’s Australia Program, where he leads the team in their mission to combat climate change and protect the Australian environment. From restoring Southern Australia’s shellfish reefs, to establishing sustainable cities throughout the country, Rich is leading a dynamic and effective team of environmentalists. 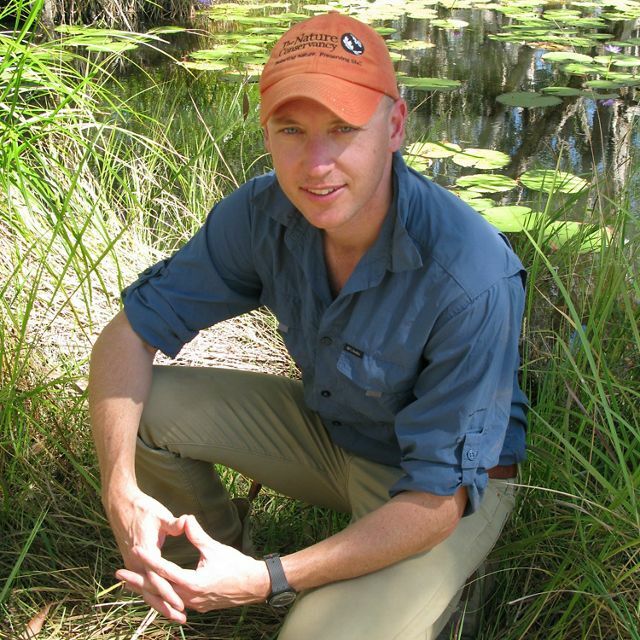 Rich continued on to obtain a degree in Environmental Management and later became the Director of Operations and Programs for Earthwatch Australia, eventually being promoted to CEO. During his time at Earthwatch Australia, Rich was awarded the Prime Minister’s Award for Australian Environmentalist of the Year. Rich is one of our #100WaterHeroes for his impactful career in conservation, and for committing himself to creating an environmentally sustainable future. Today’s #100WaterHeroes are siblings Abigail and Jamie Forsyth, founders of KeepCup, “the world’s first barista-standard reusable cup.” After launching a Melbourne-based cafe chain in 1998, Abigail and Jamie were shocked to see how much unnecessary waste was produced by disposable packaging. As a solution, they created KeepCup, and now have bases in London and Los Angeles,. 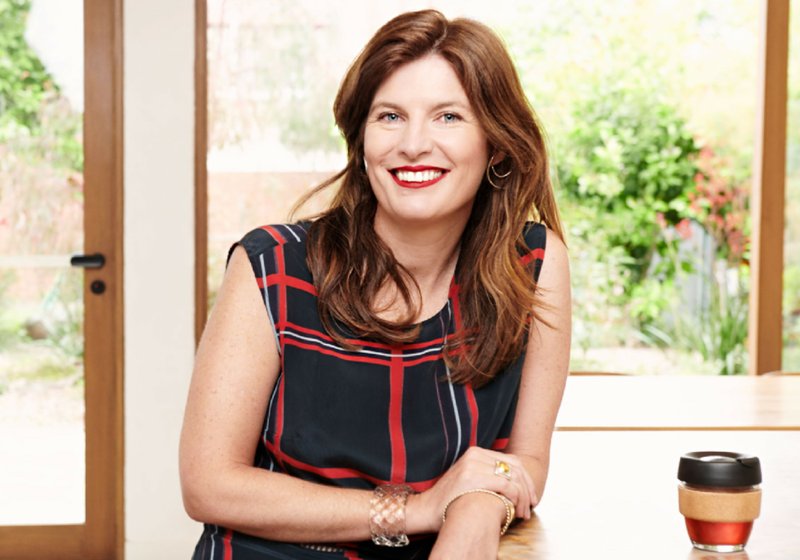 As Managing Director of KeepCup, Abigail has led the company to great heights and furthered the use of reusable coffee cups throughout the world, with their product being sold in over 65 countries. She has also launched Reuse HQ, a section of the KeepCup website that allows users to figure out their personal environmental impact. In addition to being COO of KeepCup, Jamie is also the Founder and CEO of two other sustainability-focused businesses, Beetbox and Returnr. Beetbox is a lunchbox company that “challeng[es] the inevitability of a poor eating experience when bringing lunch from home or taking away from a café or salad bar.” Offering the world’s first portable glass lunch bowl, Beetbox encourages reusable containers that minimise single-use plastic and packaging waste. Jamie’s other venture is Returnr, an environmental initiative that “aims to replace single use takeaway packaging with equivalent reusable solutions,” and works with cafes to reduce waste. Abigail and Jamie are today’s #100WaterHeroes because of their strong advocacy for a post-disposable world through manufacturing sustainable, appealing products.